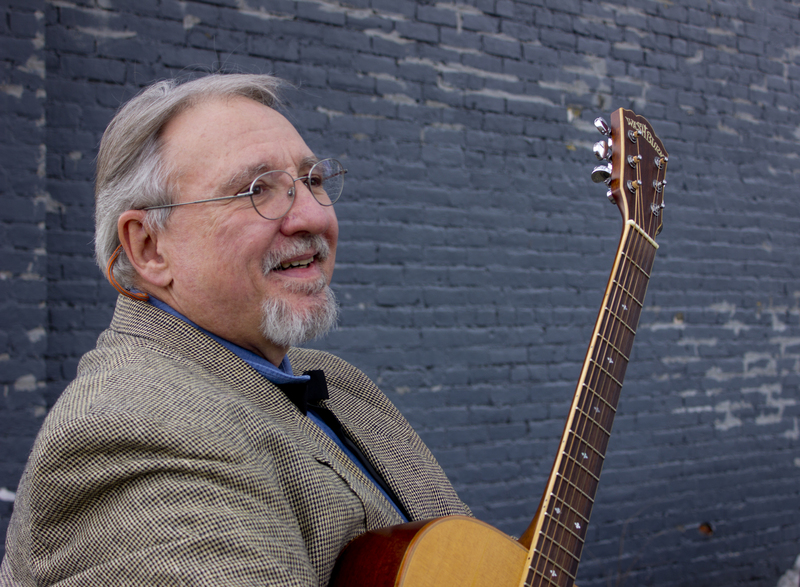 In 2014, Rick became fascinated with the life of Burl Ives, and took his one man show, “An Evening With Burl Ives” on the road. 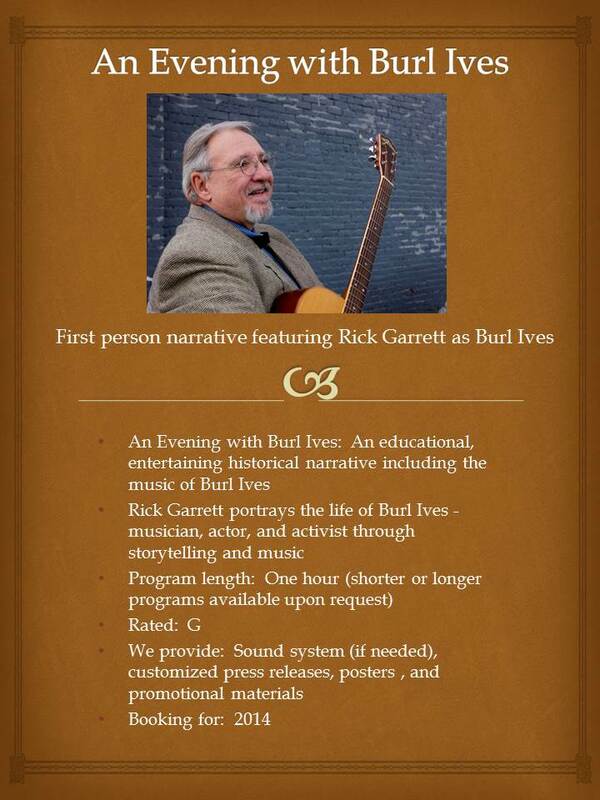 This historically accurate, first person narrative features Rick as Burl Ives, telling his life’s story in spoken word and song. Much more that just a folk/country singer, Ives was an award winning actor, environmentalist, champion of civil rights, and more. This program is especially well suited for senior citizen’s groups, libraries, schools, and Churches. Below is a one sheet about the show.